It was about six years ago that I bought my first pair of stocking-foot waders. When picking out the boots the salesman strongly recommended buying boots with felt soles. The superior traction provided by the felt soles in the water would be well worth the three or four extra dollars in the price. I didn't know any better at the time, so I sprung for felt-soled wading boots. 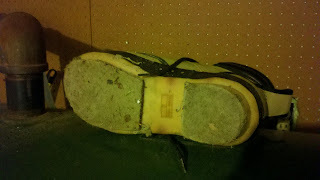 Since that time, it's been revealed that felt-soled boots can cause incredible ecosystem damage. It's actually not the boots themselves that are the problem but their propensity for picking up hitchhikers like the spores and larva of non-native plants and animals. 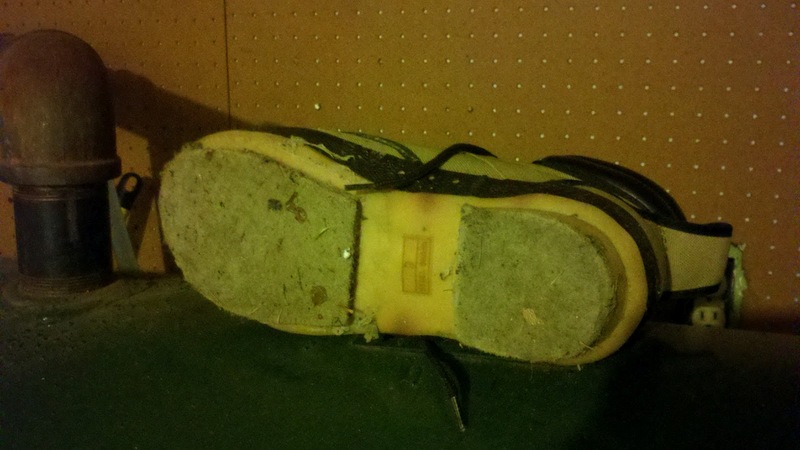 In 2011 Maryland, Vermont and Alaska all banned felt-soled wading boots for this reason. In 2012, they were joined by Montana, Rhode Island, Missouri, New Jersey and parts of Ohio, which has a "river by river rule" and the ban has been considered by several other states. Not only does the porous material hold a considerable amount of silt and sand from the creek bed, but you can plainly see larger pieces that could be seeds of a non-native plant. If I were to move from one stream system to another on the same day, it would be easy to see how larva or spores could travel with me and soon inhabit and entirely new watershed. In Vermont and Maryland, scientists and lawmakers blame felt soles for the spread of didymo, also known as "rock snot", a very slimy non-native algae. The algae isn't a health risk to humans, but it can crowd out native species that are important food sources for fish an other animals. That being said, if you live in a state where felt-soled boots are still legal, you can still fish in them with a clear conscience - but you have to always use them in the same body of water. For example, I only wear my felt-soled boots in the Yellow Breeches Creek here in Central Pennsylvania. That way there is no concern that I might carry an invasive species from one creek system to another. But if you want to fish in another creek or stream - especially one in a different watershed - then it's best to use a different pair of boots, preferably without felt soles. Bass Pro Shops sells the White River Fly Shop ECO-CLEAR wading boots that still provide quality traction, but without the risk to the environment. The trend of states banning felt-soled wading boots is only just beginning, so as more states institute a ban, we're going to see more and more companies make products like the ECO-CLEAR boots, with a constant eye towards improving traction for better fishing safety. Getting a good start in fly fishing as a new hobby can be as easy as making a list of all the equipment you will need. Keeping dry while wading is very important so a good place to start would be with fly fishing waders.I find this website for Ice Fishing Boots you can visit this site.